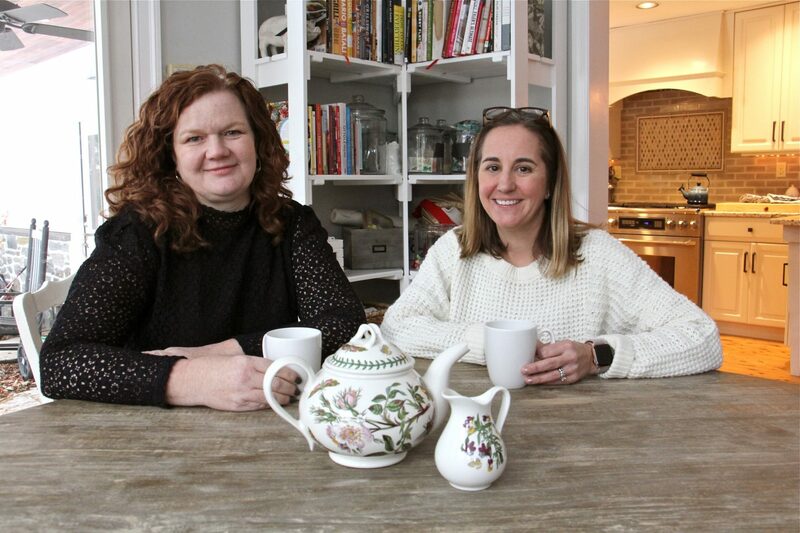 Jamie Lynch (left) and Kate Mayer joined forces when their children were struggling to learn to read in the Tredyffrin/Easttown School District. (Wayne) — The small parent rebellion forming in one of Pennsylvania’s wealthiest school districts began at a Starbucks in suburban Chester County. Over coffee, three moms — Kate Mayer, Jamie Lynch, and Wendy Brooks — swapped stories about how their kids struggled to read as they moved through the Tredyffrin/Easttown school district, located about 30 minutes west of Philadelphia on the Main Line. They decided to start a local awareness campaign, beginning with an event where they passed out flyers and donuts to teachers. It seemed as benign as a bake sale. Today, their group, “Everyone Reads T/E,” pushes a more subversive idea: that their acclaimed district doesn’t know how to teach reading. They’ve rallied a growing group of parents around this notion, and joined a national effort. This could be case of suburban anxiety run amok. Or it could be a window into how enlightened parents challenge district orthodoxy and undermine the reputation of a reputedly great school district. Either way, these moms — and they are almost entirely moms — represent a potentially powerful force. They believe the way we teach reading in this country must change. And they’re determined to make it happen from the ground up. “Everyone Reads T/E” began as a support and awareness group for parents with dyslexic children. Dyslexia, it turns out, has become a common entry point for parents who come to question the district’s reading practices. In broad strokes, dyslexic students struggle to match the letter combinations of written language with the oral sounds of spoken language. Scientists first identified the disorder at the end of the 19th century, but dyslexia is having a cultural moment right now. Between 2013 and 2018, the number of states with dyslexia-related laws jumped from 22 to 42. Some mandate screening for dyslexia. Others call for teachers to get special training. There are documentaries on the topic, and burgeoning parent groups, like the one in Tredyffrin/Easttown, dedicated to raising awareness. This push dovetails with broader skepticism about the way public schools teach kids to read. Some academics — and a growing chorus of parents — believe schools don’t sufficiently focus on the mechanics of reading, what we might generally call phonics. They believe this negligence disproportionately hurts students with dyslexia — those who need extra help deciphering the code of written language. It’s a potent idea, and it has taken root in a community that seems, from the outside, to be public education nirvana. Tredyffrin/Easttown is one of the poshest and most desirable school districts in Pennsylvania. Median household income is about $122,000. The district’s highly rated high school offers 30 AP courses. Twenty seven members of the most recent graduating class attended Ivy League schools. Nearly every student graduates high school in four years. Tredyffrin/Easttown’s profile either makes it one of the best or worst places to have this debate about reading. Everyone admits it’s a competitive school district. One could imagine parents overreacting when their kids slip behind in reading. Perhaps, they’re looking for someone to blame, and some explanation for why their children aren’t excelling in a district where so many others shine. But there’s a more charitable way to view what’s happening in Tredyffrin/Easttown. Research suggests nearly every child has the latent ability to read. Of course, life circumstances can keep children from reaching their learning potential: poverty, trauma, family instability. But kids growing up in Tredyffrin/Easttown rarely face these hurdles. It’s almost like a controlled experiment — with all the mitigating variables muffled. If a Tredyffrin/Easttown student can’t read, doesn’t that suggest there’s something wrong with how we teach reading? The parents behind “Everyone Reads T/E” tell a largely similar story. Some time between Kindergarten and 2nd grade the school district said their child needed extra reading help. They trusted that extra help would yoke their kid back up to grade level. The help came. The improvement never did. The parents hired private tutors. They read more to their kids. They tussled with district officials over special-education plans, growing more cynical in the process. Their children became increasingly aware of their academic deficits as they aged, and it bred frustration. Lucie Liebler, 13, first remembers feeling the stigma in fifth grade, when the school placed her in a class with English Language Learners, according to her mom, Kym. Lucie would squeeze and tug on her ear in class to release anxiety. “She would come home and be like, ‘I’ve gotta get out of there, I’ve never felt so stupid in my life,’” recalled Kym Liebler. Her inability to read seeped into other subjects. Science was a particular challenge, full of words she’d never seen and letter combinations she still couldn’t dissect. By sixth grade, she shook uncontrollably before tests. When her mom floated the idea of returning to Tredyffrin/Easttown for her seventh-grade year, she sobbed and threatened to hurt herself. “The thought of going back scared me and haunted me — like it gave me nightmares,” said Liebler, who now attends a private school for children with learning differences. Declan Arnott, now a high-school senior, loved school in the early grades. He was a boisterous kid, perhaps a little overactive, said his mom, Jennifer. But he made friends easily and seemed to relish the social side of school. Homework was a different story. In kindergarten, the school assigned something called “funwork,” which involved memorizing the letter sounds of the alphabet. Declan hated it, but his mom wasn’t concerned. Things got worse as Declan got older. His boisterousness turned to tantrums. In seventh grade, he flipped desks and once threatened to toss a chair out a classroom window. Declan doesn’t think this was typical teenage angst. He believes it stemmed from his inability to read, and the embarrassment those failures caused. 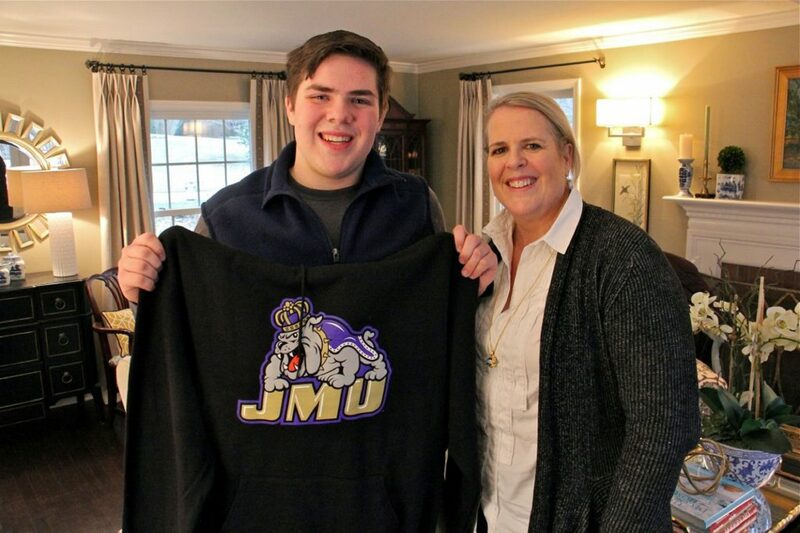 Jennifer Arnott transferred her son, Declan, from the Tredyffrin/Eastwood School District to a small private school when he started high school. Now a senior, Declan has been accepted to James Madison University. Many parents, including the Arnotts, eventually hired independent neuropsychologists to evaluate Declan, which can cost thousands of dollars. The evaluators often said their kids had dyslexia or a dyslexic profile. Most parents say this diagnosis was a moment of clarity. It took a painful, ill-defined academic struggle and turned it into a word. It connected them to a community of people struggling with the same thing, and gave them access to a trove of online resources. Some of those resources listed successful people who’d overcome dyslexia. In many cases, though, the dyslexia diagnosis also solidified their discontent. The school district, they said, never uttered the word dyslexia. They wondered why not. And they wondered if the district really knew how to help their kids. They’d already felt something was off. Now they were convinced the district failed them. Many of them sought Kate Mayer and Jamie Lynch for help. Today, the women say they get three-to-five calls a week from district parents with questions. After launching their dyslexia awareness campaign over coffee, Lynch and Mayer became go-to resources for other parents. They’ve built an e-mail list with about 400 names. They’ve formally advised three dozen families during their special education meetings with the district. Jamie Lynch reads with her son, Ronan, 10, a 5th grader in the Tredyffrin/Easttown School District. The dyslexia awareness campaign morphed into a larger critique of how Tredyffrin/Easttown teaches reading, with the parents advocating specifically for a greater focus on phonics. Members of “Everyone Reads T/E” show up at board meetings and demand time with district officials. They claim the district hasn’t released sufficient data on its support program for kids who struggle to read. They aren’t the only ones making this case. In the 1980s and 90s, a “reading war” broke out among academics. Proponents of “structured literacy” said students need more direct instruction in how to read — how to take the sound combinations of oral language and translate them into the written word. Reading isn’t like oral language, they argued. It isn’t a human instinct. It must be taught, building block by building block — in other words, phonics. Opponents called for a “whole language” approach, saying kids learned best when surrounded by print. Teachers needed to inspire a love of reading in their students. The academic consensus seems to now favor “structured literacy,” but some researchers and parents believe school districts haven’t internalized the science. A recent series of radio documentaries by American Public Media amplified those claims. One of the documentaries profiled a parent group in Ohio that confronted the whole-language orthodoxy of their district officials and prompted a sea change in reading instruction. Academics often point out that nearly two-thirds of fourth-graders don’t read on grade level, according to a prominent national exam. “If you really look closely at what’s being done, it’s lack of explicit, systematic instruction,” Spear-Swerling said. What’s happening in Tredyffrin/Easttown isn’t as cut and dry. District officials say they do embrace phonics, especially in the younger grades. They’ve sent their reading specialists to train in Orton-Gillingham, an instructional method favored by many dyslexia advocates. And the district says it does use the term “dyslexic” in special education meetings, just perhaps not as often as parents want. Administrators combine observation with data gleaned from up to five exams when determining if students have what they call a dyslexic profile. “I don’t believe we have any reluctance at all to use that term,” said Chris Groppe, who spearheads special education for Tredyffrin/Easttown. Administrators barely acknowledge a disagreement with parent advocates. “We are very lucky in this district to have many parent groups that are involved to support their students’ interests,” said Groppe. 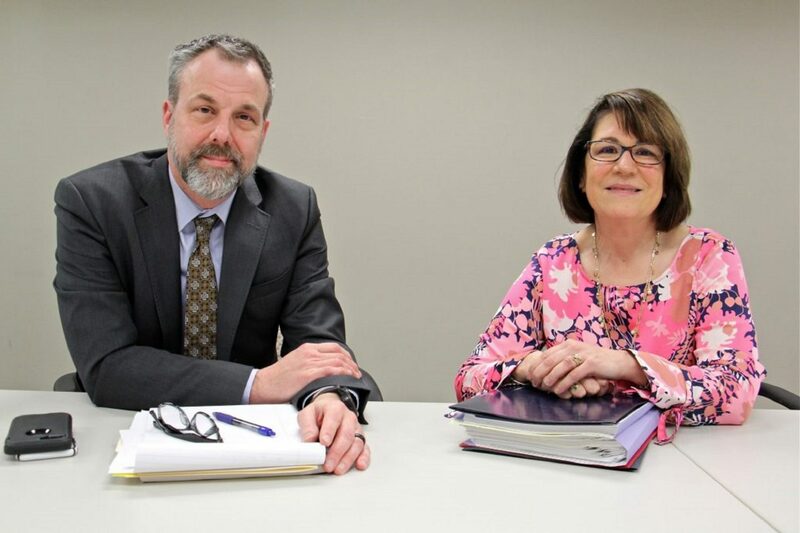 Chris Groppe (left) director of individualized student services at Tredyffrin/Easttown school district and Wendy Towle, director of curriculum, instruction, staff development and planning. The data doesn’t conclusively prove whether Tredyffrin/Easttown suffers from a reading malaise. Overall, the district scores exceptionally well on the state’s standardized test for reading and writing. Nearly nine in ten students are proficient or advanced, the tenth-best rate in the state. Skeptics though, say scores would be lower without parents of struggling students paying for tutors or, in some cases, opting out of the district entirely. Pennsylvania also measures student growth from year to year on standardized exams. And although some high-performing districts tread water or even score well on this measure, Tredyffrin/Easttown doesn’t. It has the seventh-worst “average growth index” in Pennsylvania for English Language Arts. Groppe says growth data “can be more challenging to interpret” for high-achieving districts. Some of the state’s other suburban powerhouses — Lower Merion, Radnor Township, Haverford Township — also rank near the bottom. Earlier this year, the district released a limited snapshot showing most students getting extra reading help made what the district calls “expected progress” on internal benchmarks exams. The parents in “Everyone Reads T/E” want more detailed data. And the district will present another review to the school board’s education committee in March. Beyond the particulars of this one battle in this one district, there is a larger picture. What happens if the grassroots fervor behind “Everyone Reads T/E” spreads further? It’s already changing the way states talks about dyslexia in their laws, and that discourse might trickle down to the way school districts perceive the disability. Dyslexia awareness could deliver a psychic jolt to students who once considered themselves “stupid.” It could also ensure students receive the type of focused phonics instruction that dyslexic students need. But Mayer’s point hints at a potential downside. Many parents in Tredyffrin/Easttown dyslexia movement prefer a few specific instructional approaches, even though some experts say there aren’t silver-bullet solutions. These approaches are painstakingly systematic. A student who mistakenly gets an overdose of phonics could miss out on things like vocabulary and comprehension, the knowledge that attaches meaning to those translated sounds. This scenario may seem light years off, but there’s precedent. Attention Deficit Hyperactivity Disorder leapt from obscurity to over-diagnosis, aided by parental anxiety and savvy drug marketers. “My fear is that some of the things that are recommended for dyslexia may not actually help every kid that’s given that label if they are misdiagnosed or if they’re swept up in the spectrum idea of overdiagnosis,” said Rachael Gabriel, associate professor of literacy at the University of Connecticut. But the biggest implications extend beyond the reading debate. If they’re not crazy, though, it challenges the typical way we think about school quality. What began as a donut day planned over coffee has sparked a chain reaction of skepticism. People who paid large sums of money to live in a “great” school district find themselves seriously questioning its greatness. And it’s not because of some catastrophe. It’s because a few ferociously well-read moms convinced some of their peers to abandon their assumptions. That’s no small feat. And it’s why when Mayer meets a new mom, she often begins by addressing the doubt written across her face.